Fashion is one of the most mesmerizing forms of artistic expression. The cultures of the world are a common source of creativity and inspiration for fashion designers. 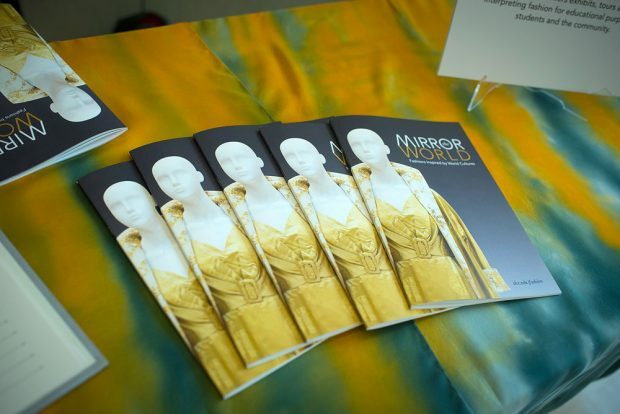 Students and staff at the Salt Lake Community College Fashion Institute have explored this theme in the new “Mirror the World” exhibit at South City Campus. Globe photographer Duyen Nguyen attended the “Mirror the World” exhibit last week. View a photo gallery of the designs on display. The concept of altering ideas and expression is a significant theme at this exhibit. With such a diverse cast of young designers, the pieces on display enlighten visitors about other cultures. “We are showing clothing from diverse designers and have five student designers who also have a diverse background: China, Vietnam, El Salvador, Uganda and the United States,” Sakaki says. The “Mirror the World” exhibit is on display in the Multipurpose Room from noon to 7 p.m. through Friday, Sept. 30. The exhibit is free and open to the public.